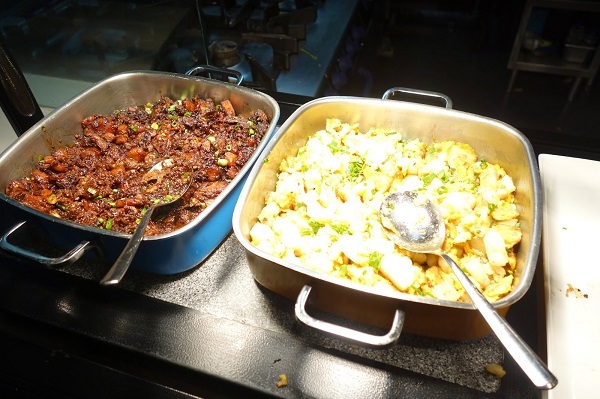 Singaporean cuisine, a potpourri of many Asian ingredients along with its own style of cooking gives tourists a feel of eating their local food as well as having a very peculiar tinge to it. Singaporean food consists of rice, noodles, meat, fish, seafood, vegetables and a variety of soups and sauces. Even if the key ingredients in some of the dishes are similar, yet the cooking style brings out a totally distinct taste and aroma to the food. One of the best ways of enjoying the Singaporean food is its street stalls which entertain gourmets throughout the day and even serve them past the midnight hour. These hawkers are extremely famous around the country as they offer a gigantic range of lip smacking food items which carry the integral flavors of the country’s cuisine. 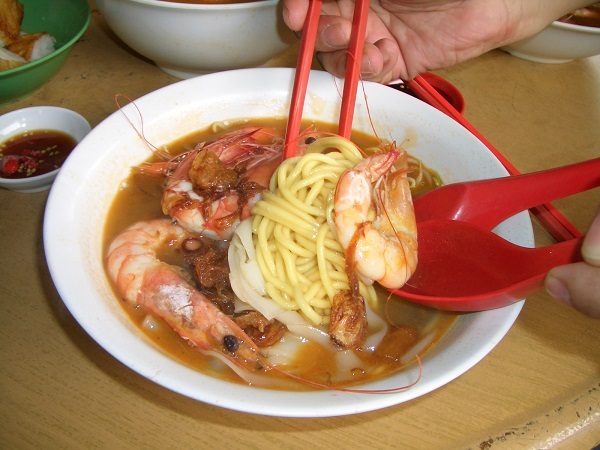 This soupy noodle coupled with prawns is one of the most desired street foods in Singapore. The slick noodles, crunchy prawns, together with the spiced stock lend a stirring effect to the tongue. Marinated with varied spices and sauces, the frog meat is a characteristic delectable meat that is extremely popular in Singapore. The tender frog meat tastes even better with the porridge it is dipped in. This is a must try when in Singapore, and is preferred more during the rainy season. 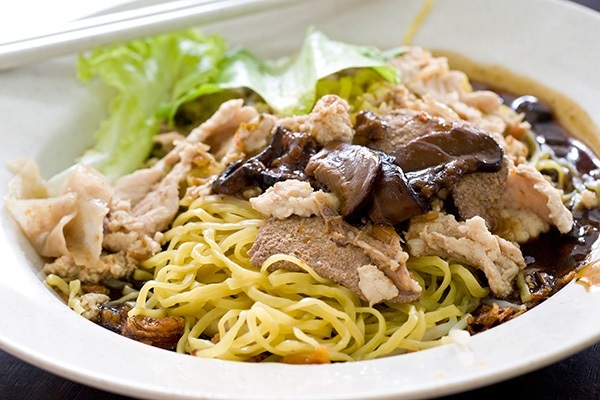 Being one of the most renowned Singaporean street foods, this dish is easily available at most stalls, irrespective of where the two hand of the clock point. The sambal stingray has gained popularity in Singapore in recent times and has emerged as one of the favourite street foods there. Stingray fish wrapped in banana leaves are grilled which infuses the fish with the mild aroma of the leaves. 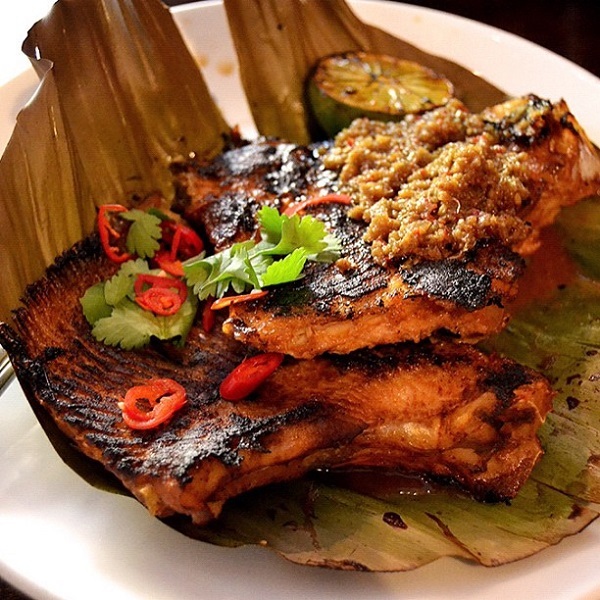 The fish is then laced with delicious sambal sauce which is made of shrimp paste, shallots and spices. Durian is the national fruit of Singapore, and is a personal favourite of most Singaporeans. 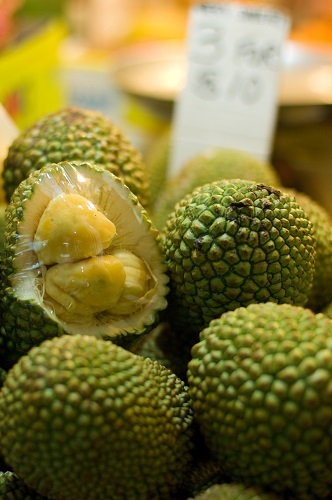 The fruit is used to prepare puffs, ice creams and cakes and even available as a street food. People are often seen gulping this seasonal fruit which are available in and around the months of June and August, with utmost delight. Laksa is a soup and has some variations like curry laksa and asam laksa. 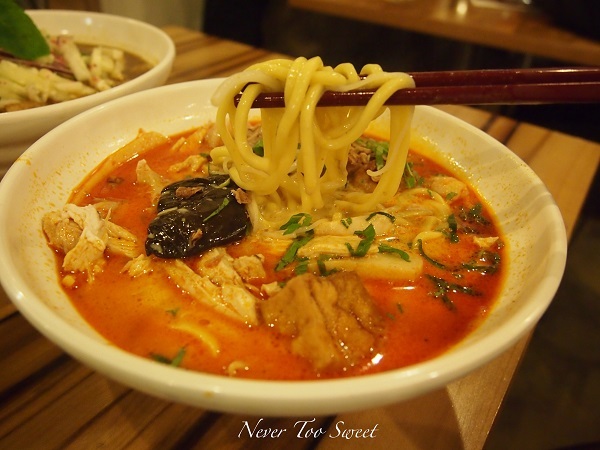 Curry laksa is a delicacy in Singapore and one of the most consumed street foods too. It is a flavorsome combination of noodles and fried bean curd, poured with smooth coconut sauce. The other ingredients which go into making the dish blissful are shrimp, fish and cockle. are distinct and conjure up to make a plateful of scrambled treat. Sim sum is a versatile dish and has many variations such as the Siew Mai, Chee Chong Fun, BBQ Pork Bun and Xiao Long Bao. 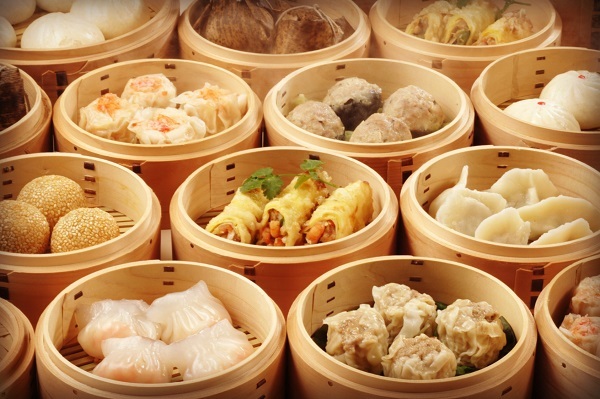 The Dim Sum are dumplings stuffed with a variety of fillings which provide it with a different taste and name. The wraps can be made with flour dough and are even available readymade in the markets. 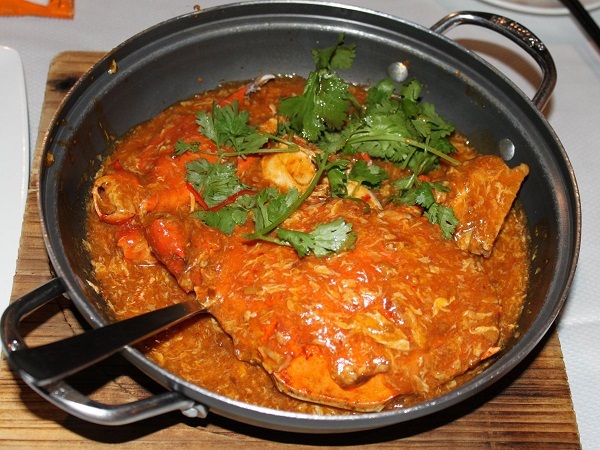 The delectable recipes of crab in Singapore which have grown into famous street foods are chilli crabs or pepper crabs. 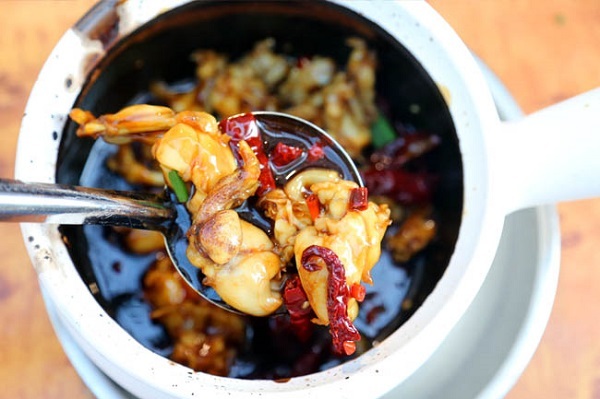 The crabs are boiled, fried, and then dipped in a slurpy sauce which is either made with chilli or black pepper. This is a popular dish in many countries as well as in Singapore, where it is also counted among the tastiest street foods. 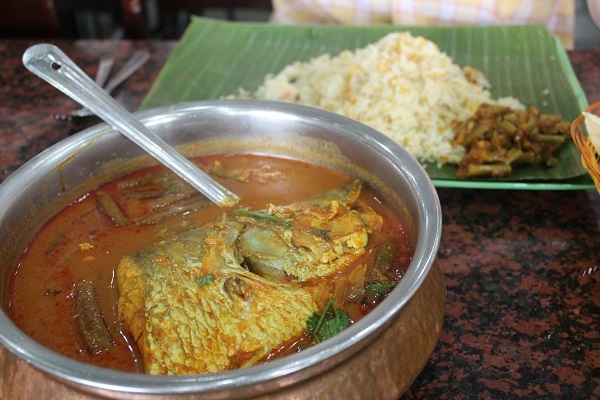 The curry is made with an assortment of vegetables that are varied based on the taste of the chef and as the name states fish heads are added. The vegetables are instilled with the fragrance of the fish which makes this a stand out from other street consumables. Minced meat, meat balls, fish and noodles, all these served in a plate together constitute the lip-smacking bak chor mee. The noodles are served with vinegar sauce, and the combination satiates the stomach as well as the soul. Some foodies prefer to have the noodles without the sauce, so that they can enjoy both the flavors individually. 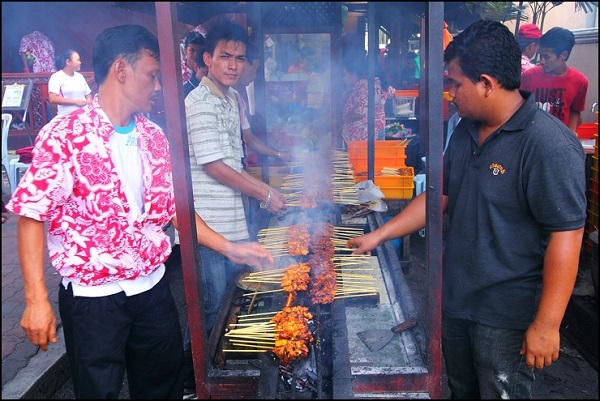 Satay is an uncomplicated food wherein minced meat is grilled or barbequed on a high flame providing the meat with a crunchy layer, coating the tender and juicy meat. This is a renowned street food in Singapore and is served hot with a variety of spices sprinkled over the meat. 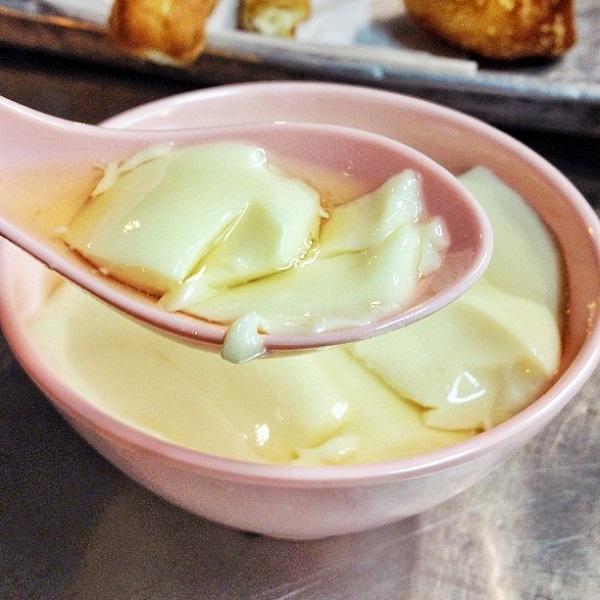 Tau huayis a well-known sweet dish made with bean curd tofu plunged in sugar syrup can either be served hot or cold. The gelatin variation of this smoothie has gained immense popularity in Singapore nowadays, and it also has different flavors like sesame or mango. This variation is served cold in order to retain its velvety texture. 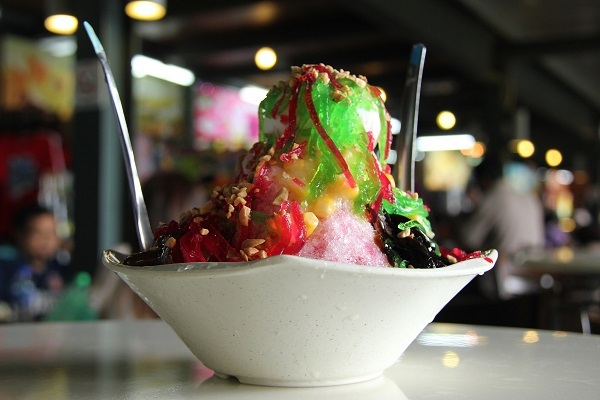 One of the most vibrant looking dishes, ice kacang initially included only ice and red beans, but with time, this dish evolved, such that the ice mountain of this dish also includes sweet corn, attap chee, agar agar and grass jelly along with red beans. An ice crunching machine is used to cover the colorful elements which are then topped with a generous amount of condensed milk, multiplying the delectability. This a pancake which is cooked following a unique procedure of flipping the dough with the hands until it turns into a thin layer. 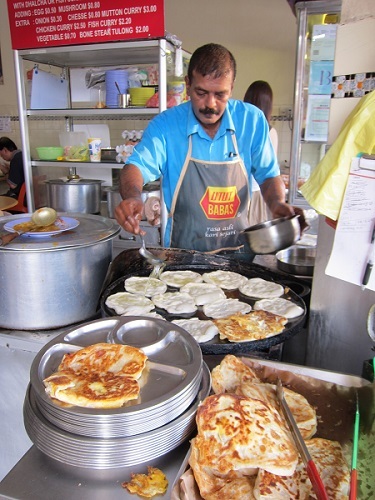 Roti prata includes a vast variety like mushroom, cheese, onions, eggs and chocolates. These elements are added to the dough as per preference during the cooking process. This food item is usually accompanied with spicy chicken or vegetable gravy but some like to eat it with just sugar sprinkled over it. 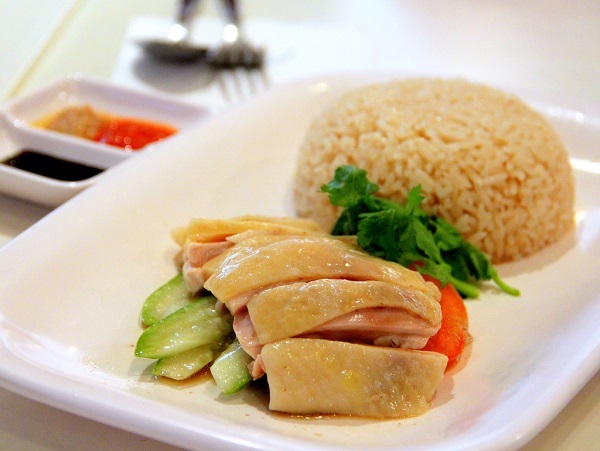 This is a scrumptious meal with a delicious blend of chicken and rice, available in almost all the street food stalls in Singapore. 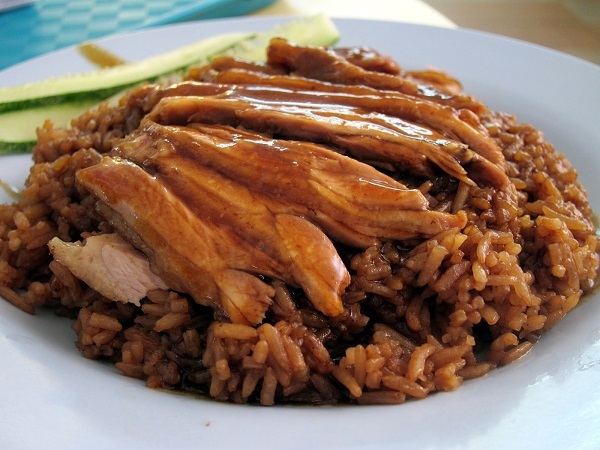 The chicken used in this dish is boiled in pork and chicken stock, and even the rice is not cooked in just water but in chicken stock, along with with ginger and garlic that adds a piquant flavor to the rice. This dish is often served with a chilli sauce prepared with garlic and chilli, and a good amount of chopped ginger. This is also a combination of rice and meat, more precisely duck meat. The rice used in this dish is plain rice, unlike the one in chicken rice. The duck is roasted and laced with braised sauce which integrates a distinct aroma to the meat and becomes a desired combination with rice. 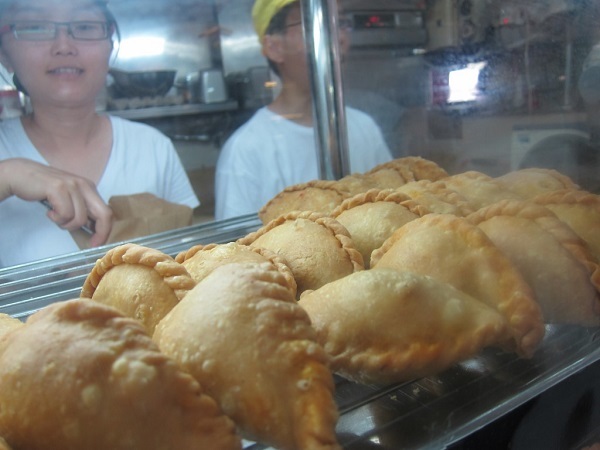 Curry puff is a preferred snack in Singapore, and is easily available at most food stalls. One bite of the crispy crunchy crust of these puffs takes people to the tender core which is stuffed with a mushy curry of chicken, potato and vegetables. This heavenly relish is a unification of noodles, seafood and meat broth served in a flawless, self-designed betel nut palm leaf. 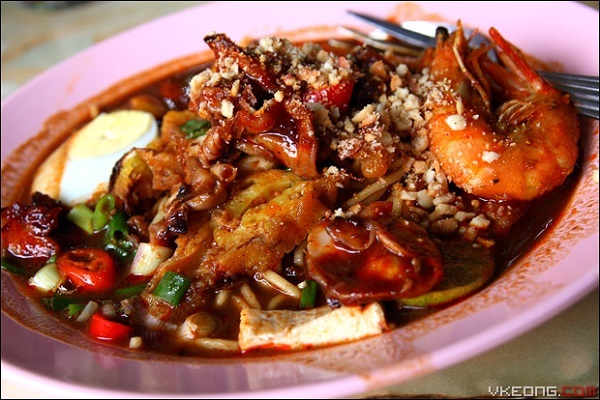 Mee kuah opeh is not just a feast for the eyes but also a culinary bliss.